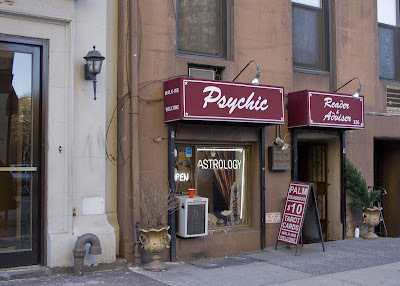 Across the street from Duane Reade is this Psychic Shop. These shops never seem to have customers when I photograph them and yet somehow they're paying the rent. Someday soon I'll get my palm read and let you know if it's worth $10.